Axtone Records welcome Belgian brothers Dimitri Vegas & Like Mike to the label for their debut single on Axwell’s imprint. The duo are no strangers to the imprint, having remixed the original Swedish House Mafia anthem ‘Leave The World Behind’, Abel Ramos’s ‘Rotterdam City Of Love’ and most recently David Tort ft Gosha’s ‘One Look’ alongside Axwell himself. 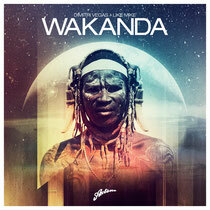 ‘Wakanda’ is perhaps a curveball to many fans of Axtone, though anyone who’s caught Swedish House Mafia on their One Last Tour will have experienced first hand the crowd’s reaction to the track. With its African chant and rock solid track, ‘Wakanda' is actually named after a fictitious country in Africa, taken from the Marvel comic 'Black Panther'. Have a listen below, it’s out February 5.